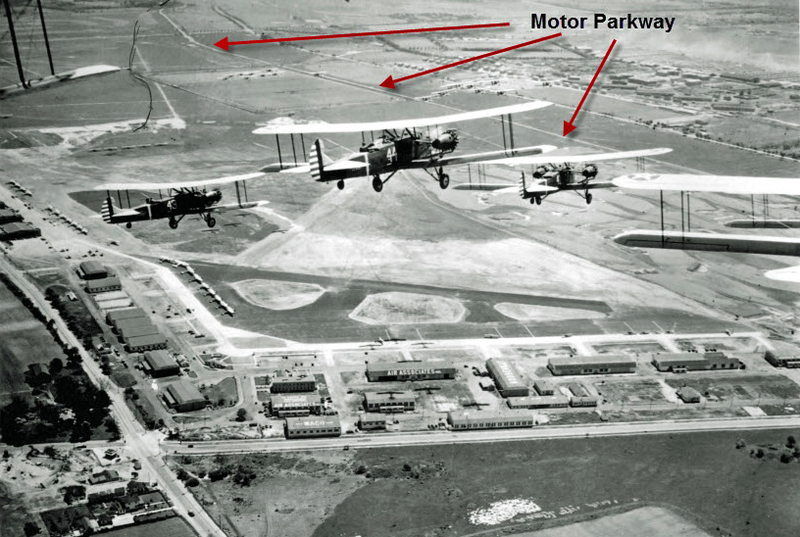 The Motor Parkway was highlighted in this 1924 aerial with a dotted yellow line. 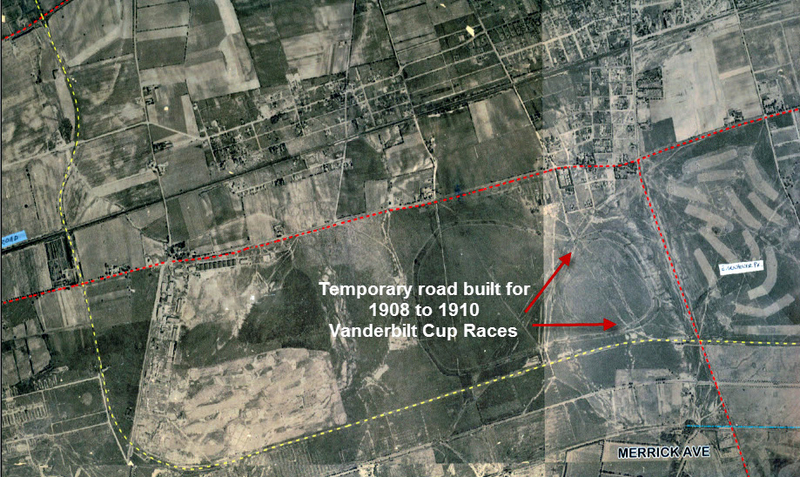 Fourteen years after the last Vanderbilt Cup Race was held on Long Island, the temporary road built to connect Ellison Road with the Motor Parkway was still visible. 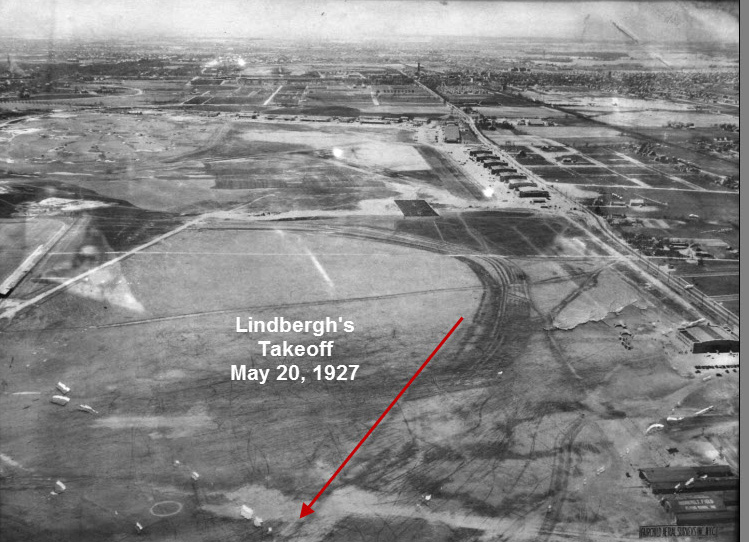 The dirt runway and path used in 1927 by Charles Lindbergh for his historic flight can be seen in this aerial looking west. This location would later become the site for Roosevelt Raceway and the 1936 and 1937 Vanderbilt Cup Races. Note the hangars of Roosevelt Field on the right. 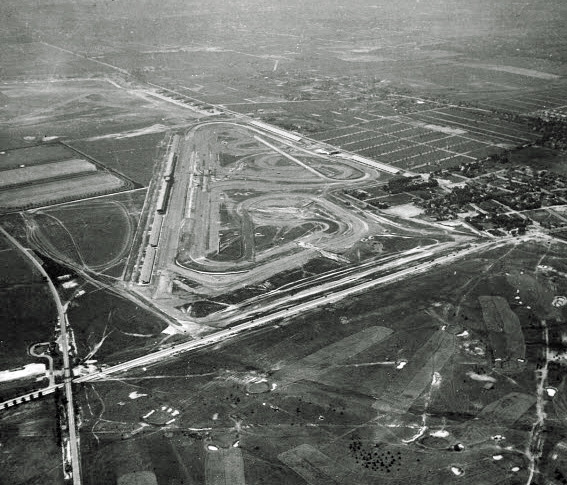 This view of Roosevelt Raceway looking east was photographed during the running of 1936 Vanderbilt Cup Race. The course was four miles long with 16 turns. 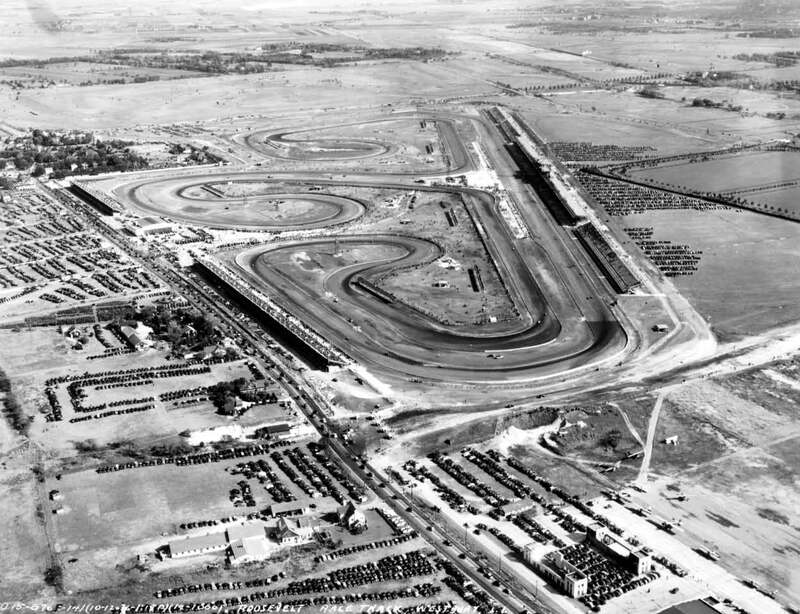 This aerial of Roosevelt Raceway looking north-east was taken after the 1937 Vanderbilt Cup Race (the last of the George Vanderbilt series). The lower left corner of the aerial is highlighted below. 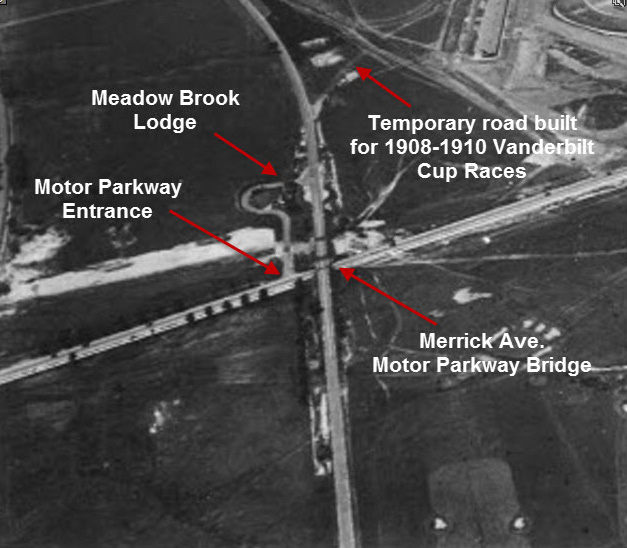 A bit of treasure for Motor Parkway fans...a lodge entrance, the Meadow Brook Lodge, a Motor Parkway bridge and a section of the Vanderbilt Cup Race courses. Do you have any record of my grandfather, Ralph Bitter, from Union or Orange, NJ, who was a mechanic with the Duesenberg racing team? Thanks for a great website and info source! Ralph, I do not have a record of your grandfather. Best of luck in your search. I’ve been in the Mineola area since 1955. I believe there is still a section of the L.I. Motor Parkway that was part of the roadway leading to the Williston Park Pool area. The roadway is East of Willis Avenue close to the northern most part of Williston Park and traveled East-West. There has been other development in that locale and I don’t know how the road then turned south, but I’m willing to bet researching the recently released 1940 Census Maps would shed light on the remaining sites. I’d love to hear back if you know more details!